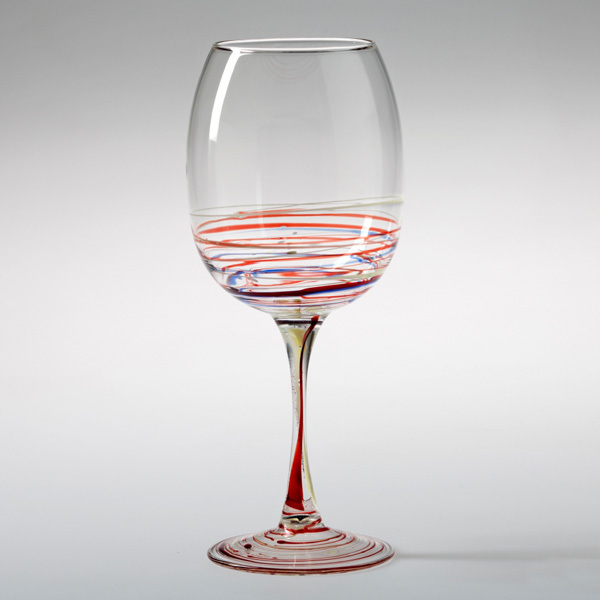 Toast every occasion and enjoy either red or white wine in this fine hand-blown wine glass! 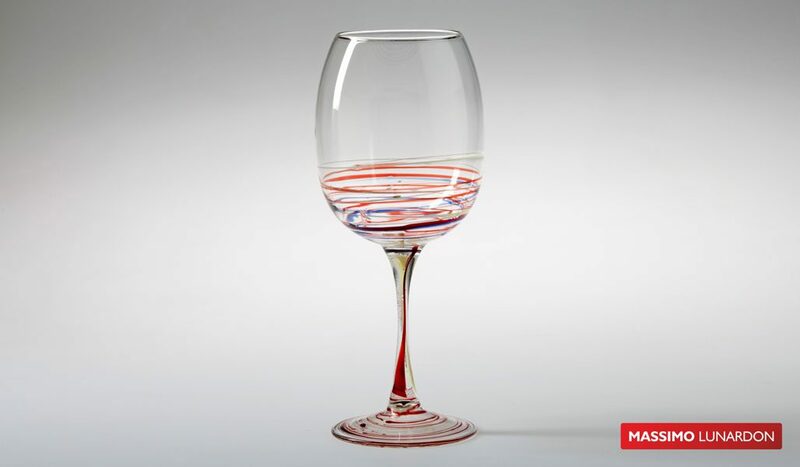 Made of lead-free tempered glass and washable in dishwasher. 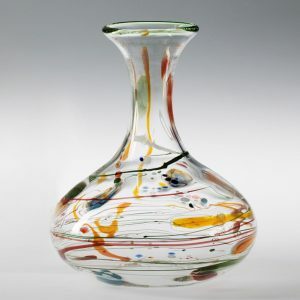 All Massimo Lunardon glassware is hand-blown using borosilicated glass and lamp-worked. 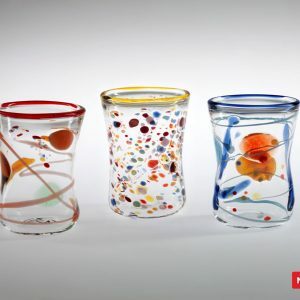 This type of glass is known for its superior durability and resistance to thermal stress. 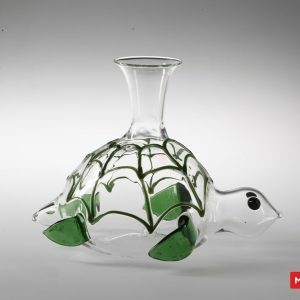 NOTE: Handle with care as all glass is breakable. 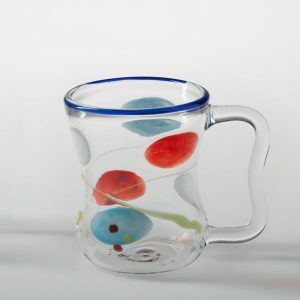 DO NOT heat on the stovetop or in the oven. 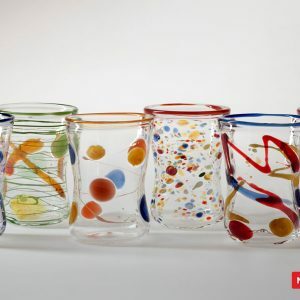 Washable in the dishwasher and usable in the microwave. 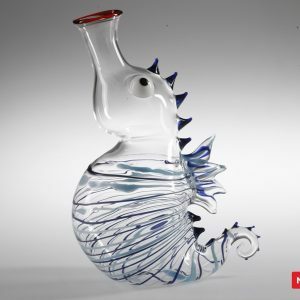 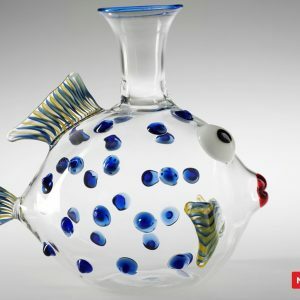 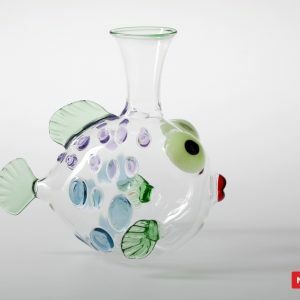 Since forming his company in 1996, the Italian glass artist, Massimo Lunardon, has created a myriad of functional and decorative glass objects. 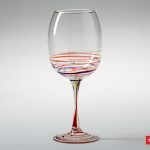 The artist’s sense of humor, limitless imagination and technical prowess are evident in his work. Established on the site of a former dairy in San Giorgio di Perla outside Vicenza, Italy, Lunardon’s workshop is a space respectful of its architectural history and local natural surroundings. 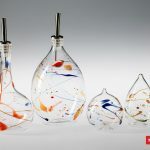 A master glass-blower, Lunardon, continually looks to push the boundaries of glass-blowing as a solo artist and collaboratively with other artists, designers and poets. 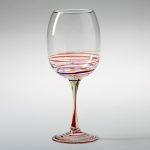 All Massimo Lunardon glasses are mindfully produced using raw materials of quality with nominal waste and minimal impact on the environment. 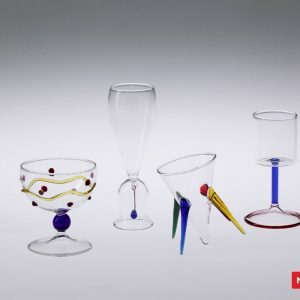 Malbi Décor is pleased to offer you an array of Massimo Lunardon glass products including a martini glass, made specifically for our shop and unavailable elsewhere. 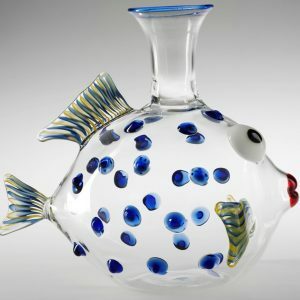 Artist/designer, Massimo Lunardon, a former apprentice of Murano, Italy, and teacher of glass-lamp work, opened his own workshop in 1988 and the Lunardon company was established in 1996. 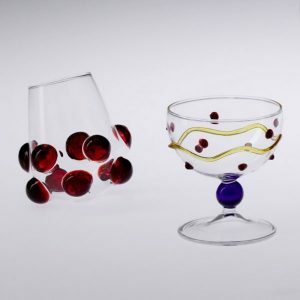 The studio, located near Vicenza, utilizes methods that minimally impact the environment and produces lead-free, tempered hand-blown glass products. 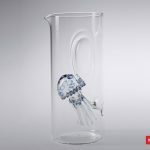 All Lunardon glassware is handmade in Italy and each piece is unique. 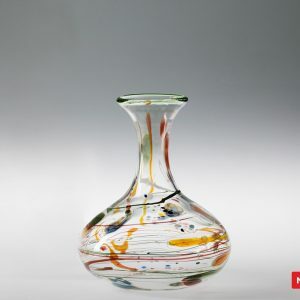 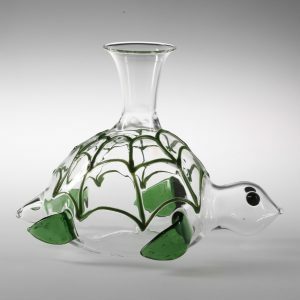 The extensive collection of functional art objects includes wine decanters (each numbered with the artist’s signature), wine glasses, water pitchers and more. 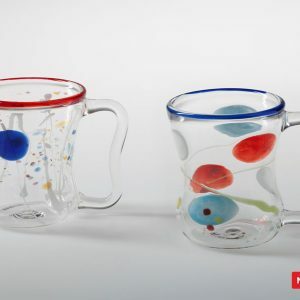 Believe it or not, these functional objects of art are washable in the dishwasher and usable in the microwave. 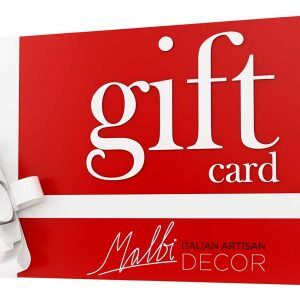 As an official dealer of Massimo Lunardon in the U.S.A., Malbi Décor proudly presents an array of Lunardon products imported directly from Italy.